Where exactly in St Paul was that giant snowman? 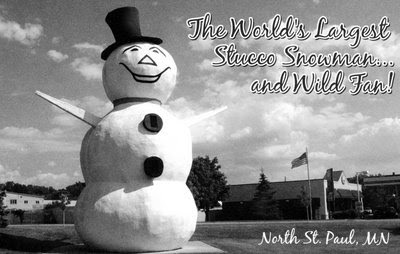 The World's Largest Stucco snowman is located on Highway 36 and Margaret Street in North St. Paul, Minnesota. Built out of concrete stucco in 1974, the business The North St. Paul Jaycees used to build a snowman each winter to celebrate Sno-Daze. They were built on the northeast corner of the same intersection. Apparently after a couple of lean snowfall winters they decided to build a permanent icon for the city. The "Stucco man" used to stand it on the southeast corner of 7th Ave. and Margaret St., downtown area. It was later moved to the current site so more people would see the 54-ft. tall snowman. 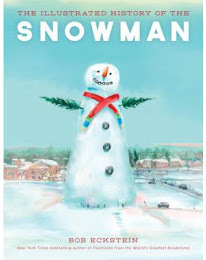 Do you know if there is a record for the most snowmen made at one time, or something similar to that? Some friends and I think it would be a fun one to try going after. Any help would be great! Thanks a bunch. 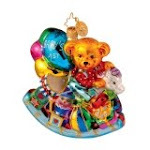 The world record for most snowmen made at one time was 12,379 snowmen in 2003 in Sapporo, Japan. At the time the town had more snowmen than humans. Each snowman had a real candle planted it's in their tummies. There is no such thing as stupid answers, only stupid questions. 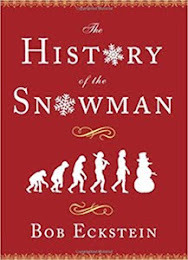 Want to know who was the first snowman in space? What's a good name for snowmen? Boxers or briefs? So go ahead and ask the snowman expert.